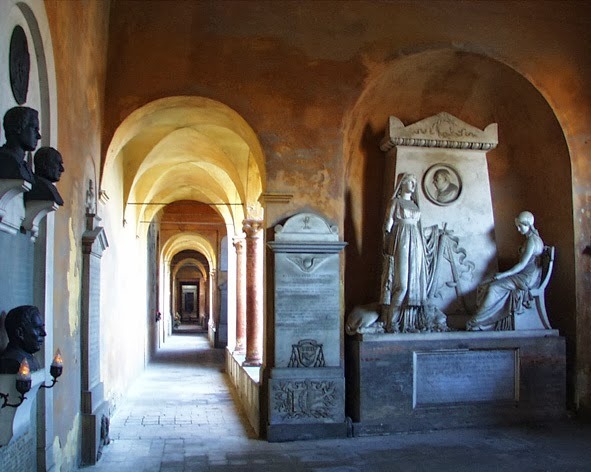 After 1801 some monastic cells were reutilised to display a number of skulls, each identified with a label. This unusual feature made an impression on many foreign travellers. One of the most celebrated was Lord Byron, who relates how the caretaker showed him one, exclaiming: 'This was Friar Desiderio Berò who died at the age of forty, one of my dearest friends. I asked his fellow monks for his head and they gave it to me. [...] Here it is with its excellently preserved teeth. He was the wittiest companion I have ever known'. Subsequently these spaces were used to house tombs and monuments.